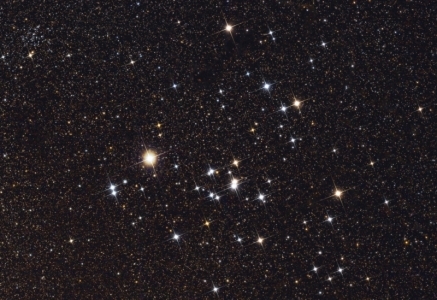 Aldebaran and the Hyades has been looking splendid on any clear Moonless night this Winter. This is a 2.5 frame mosaic taken with the 200mm lenses and Trius M26C OSC CCDs. You don’t often see images containing the nice little open cluster in the top left hand corner.